david joined Watsi on April 14th, 2013. 102 other people also joined Watsi on that day! 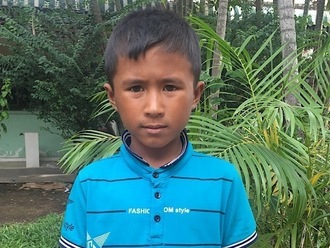 david's most recent donation traveled 8,800 miles to support Yaseat, a boy from Cambodia, to fund fracture repair surgery. david has funded healthcare for 419 patients in 13 countries. Yaseat is a second grade student from Cambodia. He has three sisters and five brothers. He likes to play football with his friends. He enjoys painting and wants to be a teacher when he grows up. Two months ago, Yaseat had an accident and fractured his right elbow. He cannot bend his arm and is in chronic pain. Fortunately, surgeons at our medical partner, Children's Surgical Centre, can help. On August 3, Yaseat will undergo a fracture repair procedure, which will cost $430. This procedure will allow him to use his arm freely again. He says, "I hope I can play football with my friends soon." Marie-Guerda is a 39-year-old woman who is the mother of two girls. Marie-Guerda lives with her husband and children in the southern province of Haiti. She used to be a kindergarten teacher, but she isn’t currently working. She was recently diagnosed with breast cancer. After four sessions of chemotherapy, a treatment that decreases cancerous cells, Marie-Guerda will have a mastectomy. She is relieved that she will have surgery soon, for she wants to regain her independence and return to work. She wants to be able to take care of her children and be fully present in their lives as they grow up. Marie-Guerda will have her operation on July 28. 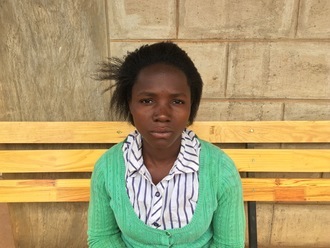 Our medical partner, Innovating Health International, is requesting $1,285 to fund this operation to remove the malignant tumor in Marie-Guerda's breast. Milcah is a farmer from Malawi. She recently traveled to our medical partner’s care center, Kabudula Community Hospital. Kabudula is a rural community outside of the capital city of Lilongwe. The health catchment area serves roughly 350,000 people, but the health centers and the hospital are often poorly stocked and staffed. One of Milcah’s teeth has been causing her bothersome symptoms. Diet is an issue for dental health in Malawi, where sugarcane is prevalent. Also, there is little to no oral health education in Malawi and limited access to a dental professional. In fact, there are fewer than 20 dentists across the country. Fortunately, a visiting dentist will perform a dental extraction. A dental extraction is a simple procedure with few risks, and it will result in a significant reduction in her symptoms. Milcah is scheduled to undergo treatment on July 18. Our medical partner, World Altering Medicine, is requesting just $28 to fund the procedure. Gift is a one-year-old girl from Uganda. She is the youngest child in a family of five. Her siblings do not go to school because her parents are unable to pay for their tuition. Her parents are both small farmers who perform farm labor in the community to earn a living. During her free time, Gift's mother likes to weave mats, which she uses as bedding for her children. Gift has severe malnutrition accompanied with body wasting and diarrhea. She has had signs of malnutrition for the last month, but her parents could not take her to hospital because they did not have the money to pay for her health care. On March 17, Gift will begin receiving malnutrition treatment at our medical partner's care center, Bwindi Community Hospital. Our medical partner, the Kellermann Foundation, is requesting $316 for Gift's treatment. This will pay for various medications and vitamins, a nasogastric tube, therapeutic milk, ready-to-use therapeutic food, dextrose, and ten nights in the hospital. Gift's mother, Vastina, is looking forward to taking Gift back to the community upon her recovery. Vastina says, “I thank the donors for supporting my daughter's treatment costs that I could not afford to raise." Laiheng is a 67-year-old woman from Cambodia. She has four sisters and one brother. She enjoys watching the news and comedy programs on TV and listening to monks pray on the radio. About five years ago, Laiheng developed cataracts in both eyes, causing her blurred vision, tearing, light sensitivity, and cloudy lenses. It is difficult for her to see things clearly and do any type of work. Laiheng worries about going blind in the future. On March 23, surgeons will perform phacoemulsification cataract surgery and intraocular lens implantation in both eyes. After the procedure, Laiheng will be able to see clearly again. Out medical partner, Children's Surgical Centre, is requesting $292 to fund this procedure. Sim is a 64-year-old mother and grandmother from Cambodia. She likes to listen to monks pray on the radio and go to the pagoda to help cook food for the monks. Three years ago, Sim developed cataracts in both eyes, causing her blurred vision, tearing, cloudy lenses, and extreme sensitivity to light. It is difficult for her to see things clearly, recognize faces, do any type of work, and go anywhere outside by herself. Sim learned about our medical partner, Children's Surgical Centre (CSC), on the radio. She traveled for four hours with her sister-in-law to reach CSC for treatment. On March 28, surgeons will perform small incision cataract surgery and intraocular lens implantation in both eyes. After the procedures, Sim will be able to see clearly again. CSC is requesting $292 to fund her surgery. “I appreciate your support so much,” shares Shivan’s mother, a native of Uganda. “I pray that God will bless the donors in all that they do.” Shivan is a seventh grader who particularly enjoys her English and social studies classes. She hopes to continue on to secondary school. When she is at home, she enjoys weaving mats. She sells them to help raise money for her school fees. Shivan is sixteen years old, but her life has been dramatically shaped by an event that occurred when she was only a toddler. As a two-year-old, Shivan fell into a fire and severely burned her foot and ankle. Because her parents could not afford to treat the injury at the time, Shivan’s foot developed webbed toes and contractures—hardened, stiff muscles and skin. This severe scarring limits her mobility and means she cannot participate fully in many activities. To release these contractures, Shivan will need to undergo surgery on March 27. Her parents, who are farmers, cannot afford to pay for this operation. However, we can fund her contracture surgery, as well as her lab tests, medications, and two-week hospital stay, for $564. Let’s help Shivan heal now so that she can enjoy the rest of her young adulthood as a mobile, active teen. 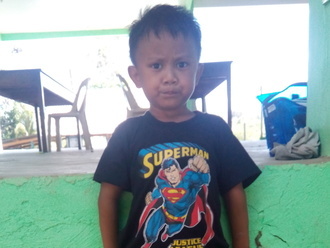 Renz is a four-year-old boy who lives with his grandparents. They do not have access to electricity and obtain water from the water district. His grandfather works as a laborer and has difficulty providing for the basic needs of the family. Renz has been diagnosed with severe acute malnutrition. Malnutrition threatens his growth and development and could even be fatal if not addressed. 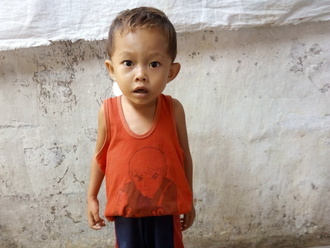 Fortunately, he will begin $268 malnutrition treatment on February 22. Renz will be treated by International Care Ministries (ICM), a Watsi medical partner. One out of five children under five in ICM communities is either severely or moderately malnourished. Worldwide, poor nutrition is associated with nearly half of all deaths in young children. In remote communities and urban slums of the Philippines, the lack of clean water and unclean environments add risk to potentially fatal childhood diseases. ICM’s home-based feeding program provides nutrient-enriched food packs to ensure malnourished children get additional food to regain normal weight and achieve optimum physical and mental development. After identifying a child as malnourished, staff and community volunteers make weekly visits to monitor this child’s progress. To help sustain the health of the child, ICM’s professional staff educate the mother, guardian, or other family members about proper nutrition, sanitation, hygiene, and organic vegetable gardening. "I will do everything just to send him to school so he can finish his studies and will have good future," says his grandmother. Zachary is a three-year-old young boy from the Philippines. Zachary loves playing with his toy cars. He lives in a small house made of bamboo with his parents and siblings. His father is a fisherman and has difficulty providing for the basic needs of the family. As a result, without nutritious meals, Zachary has developed acute malnutrition. 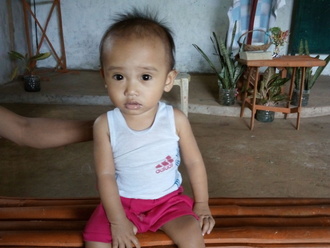 Fortunately, on February 22, Zachary will begin $184 malnutrition treatment. Zachary will be treated by International Care Ministries (ICM), a Watsi medical partner. One out of five children under five in ICM communities is either severely or moderately malnourished. Worldwide, poor nutrition is associated with nearly half of all deaths in young children. In remote communities and urban slums of the Philippines, the lack of clean water and unclean environments add risk to potentially fatal childhood diseases. ICM’s home-based feeding program provides nutrient-enriched food packs to ensure malnourished children get additional food to regain normal weight and achieve optimum physical and mental development. After identifying a child as malnourished, staff and community volunteers make weekly visits to monitor this child’s progress. To help sustain the health of the child, ICM’s professional staff educate the mother, guardian, or other family members about proper nutrition, sanitation, hygiene, and organic vegetable gardening. His mother says, "I hope Zachary can recover from malnutrition and finish his education someday and become a policeman." 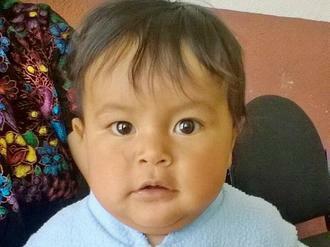 “I am worried about my son’s health,” Mynor’s mother, a native of Guatemala, shares. Her seven-month-old boy has malnutrition, meaning that a calorie deficiency has left him underweight and small for his age. In the short term, Mynor’s malnourished state makes his immune system weak, leaving him vulnerable to illnesses. But Mynor also risks facing malnutrition’s long-term consequences, such as an increased susceptibility to chronic diseases, a low IQ, and a higher likelihood of dropping out of school. 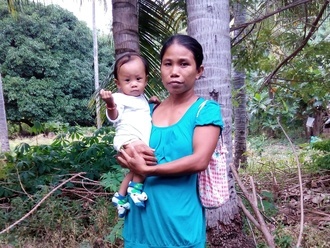 While Mynor’s mother and father are very worried about their son, they do not have the financial resources to pay for him to undergo medical treatment for his malnutrition. The majority of the money that they earn from day labor and collecting firewood already goes towards meeting the daily needs of their four children. Fortunately, for $492, we can connect Mynor with the medical care he needs. Beginning March 13, he will receive micronutrients and food supplementation to help get him back to a normal weight and height. Community health workers will monitor his growth and teach his mother about creating a nutrient-rich diet with limited resources. Mynor’s mother says, “I hope for him to grow up healthily so that he can be a good student in the future." Chris is thin child with a bloated tummy. He is only eight months old and loves to play with his toys. His family lives in a small house made of bamboo. His father works as a fisherman and has difficulty providing for the family. Chris has been diagnosed with severe acute malnutrition. Malnutrition threatens his growth and development and could even be fatal if not addressed. Fortunately, Chris will begin $268 malnutrition treatment on February 23. Chris will be treated by International Care Ministries (ICM), a Watsi medical partner. One out of five children under five in ICM communities is either severely or moderately malnourished. Worldwide, poor nutrition is associated with nearly half of all deaths in young children. In remote communities and urban slums of the Philippines, the lack of clean water and unclean environments add risk to potentially fatal childhood diseases. ICM’s home-based feeding program provides nutrient-enriched food packs to ensure malnourished children get additional food to regain normal weight and achieve optimum physical and mental development. After identifying a child as malnourished, staff and community volunteers make weekly visits to monitor this child’s progress. To help sustain the health of the child, ICM’s professional staff educate the mother, guardian, or other family members about proper nutrition, sanitation, hygiene, and organic vegetable gardening. Chris's mother says, "I am hoping that Christopher will grow strong and recover from malnutrition." Job is a ten-month-old baby from the Philippines. He lives with his parents in a small house owned by the church pastor. Job has four siblings, with whom he loves playing. His father works as a tricycle driver but has difficulty providing for the family. As a result, Job has moderately acute malnutrition. Malnutrition threatens Job’s growth and development and could even be fatal if not addressed. Fortunately, he will begin $184 malnutrition treatment on February 21. Job will be treated by International Care Ministries (ICM), a Watsi medical partner. One out of five children under five in ICM communities is either severely or moderately malnourished. Worldwide, poor nutrition is associated with nearly half of all deaths in young children. In remote communities and urban slums of the Philippines, the lack of clean water and unclean environments add risk to potentially fatal childhood diseases. ICM’s home-based feeding program provides nutrient-enriched food packs to ensure malnourished children get additional food to regain normal weight and achieve optimum physical and mental development. After identifying a child as malnourished, staff and community volunteers make weekly visits to monitor this child’s progress. To help sustain the health of the child, ICM’s professional staff educate the mother, guardian, or other family members about proper nutrition, sanitation, hygiene, and organic vegetable gardening. Job's mother says, "I am hoping to see Job grow strong and healthy and to finish school."